At home, we serve the fajitas with iceberg lettuce, tomatoes, onions, cheddar cheese, taco sauce and sour cream. As the toppings will be sprinkled on the chicken before the wraps are folded, you should make sure everything is cut in small sizes. Start by cutting 1 of the onions in small rings. Remove the seeds from the tomatoes and cut them in small dices. Grate the cheese. Put all these toppings in separate serving dishes, also the taco sauce and the sour cream. You can prepare this ahead of time. 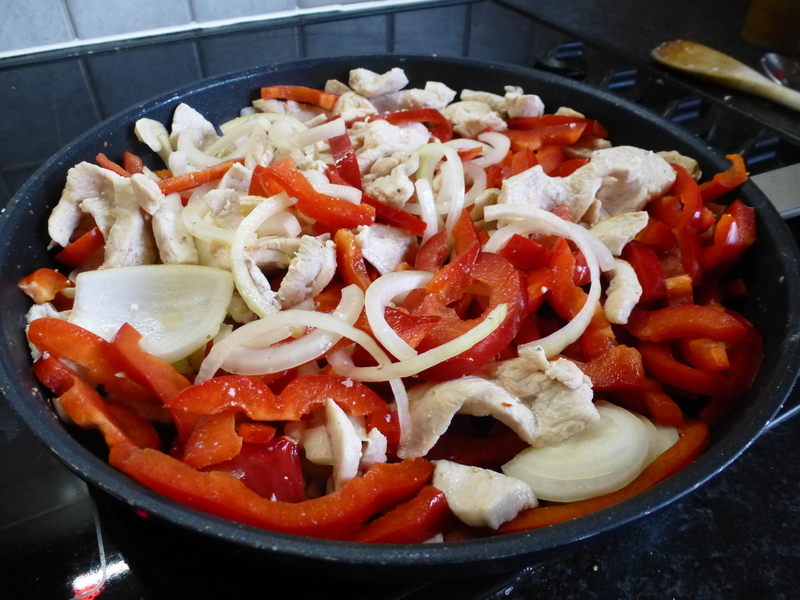 For the fajitas, chop-up the chicken breasts and start frying them in a pan with salt & pepper. While you do this, crush the garlic, take out the seeds of the paprika and chop them up in larger pieces. Also cut the 2 remaining onions. mix over all of this. Depending on the type of mix you’ve bought (a jar or a bag), you may have to prepare the mix beforehand by adding some water to the seasoning. Follow the instructions on the product label for this. Stir to mix all the ingredients. After the seasoning mix has been added it’s a question of keeping the pan on the fire until the vegetables are cooked and most of the moisture has dries out. We are aiming for seasoned meat, not for seasoned soup. Heat up the wraps in the micro wave. Follow the instructions on the package. Now you are ready to serve. Put one wrap on everyone’s plate. Position the fajita (sizzling) pan and toppings in the centre of the table and let everyone fill their own wrap. First add some chicken, then add some toppings, fold up the fajita and try. 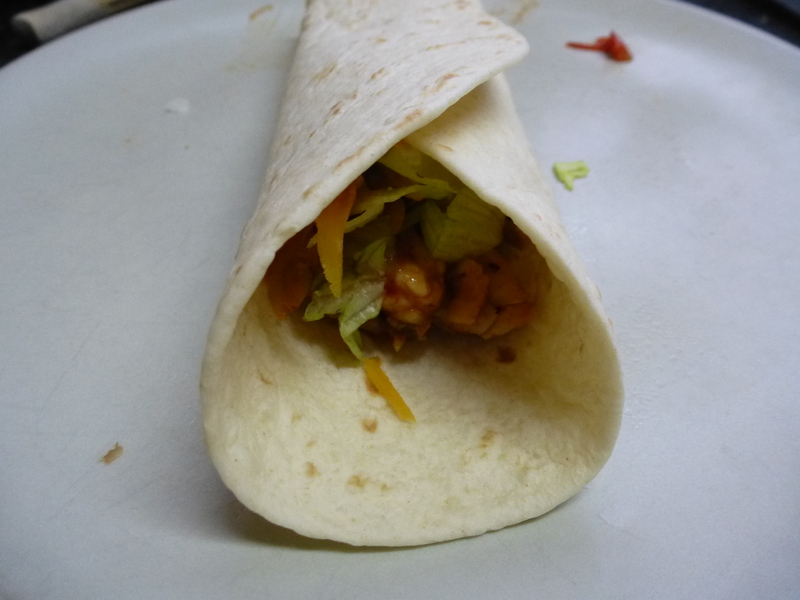 First time fajita tasters typically make two beginners mistakes: they overload the wrap and just roll it up. An overly charged wrap you cannot eat without pieces dropping out of it. When trying to eat a rolled-up wrap, the sauce will drip out at the end. The trick is to fold a part of the back to the inside, over the meat, and then close the left and right side like a small envelope. When you then lift up the wrap, the sauce is caught in the wrap envelope, at least for while. We tend to favour chicken fajitas, but you can make variants with scampi’s, steak, lamb, or even mixed. If you want to make the fajita mix a bit more spicy, you can add some harissa. Don’t choose between taco sauce and sour cream, try adding both, their blend is fantastic. It was around 1997 that I was sitting in a Mexican restaurant next to Mark S., one of my former US colleagues. With his typical enthusiasm he ordered ‘sizzling fajitas’. I had never heard of fajitas before. The dish looked, smelled and tasted delicious! Back home I tried to explain how impressed I was with the small Mexican wraps, but at that time the fajita seasoning was nowhere to be found in our local Belgian shops. Many years later when making a walk at the coast we spotted a café specialized in serving Fajitas. It was the ideal moment to drag in my husband and daughter. Hehe, yes! 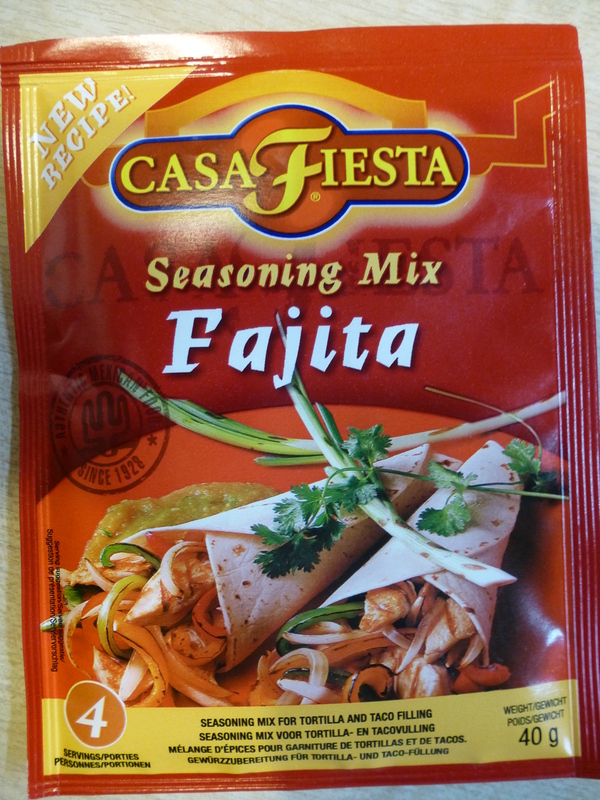 Afterwards we found the fajita mix more regularly in the supermarkets and endeavoured making our own version. Sizzling fajitas is now one of our typical Sunday evening favourites. So is Scampi Diabolo, one of my earlier posts. For the Belgium readers who would like to try fajitas first before making their own attempt, I can recommend café Carrello in Heist (Knokke-Heist), a family business specialized in serving great fajitas. Make sure to book your table. 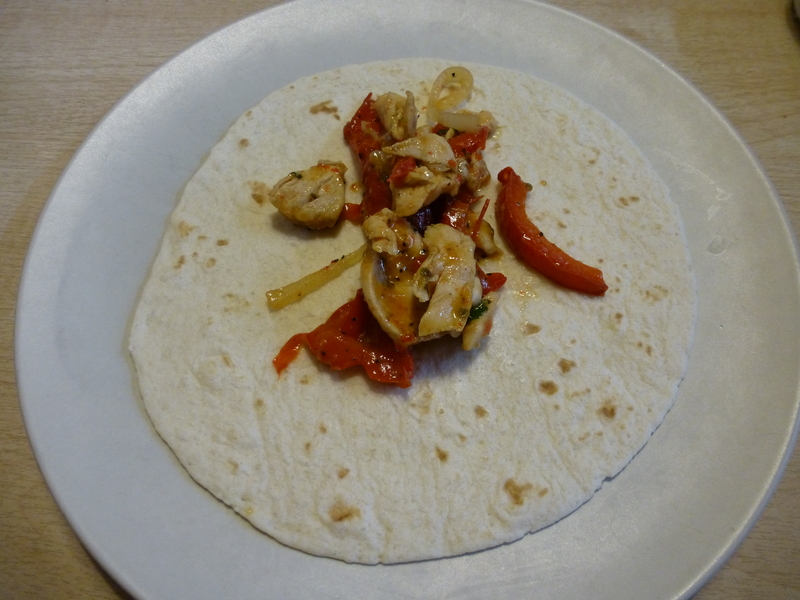 This entry was posted in Fusion, Poultry and tagged Belgium, cheddar, chicken, Fajita, Mexican cuisine, Onion, paprika, Salsa, Sour cream, toritlla, wrap by petratant. Bookmark the permalink.